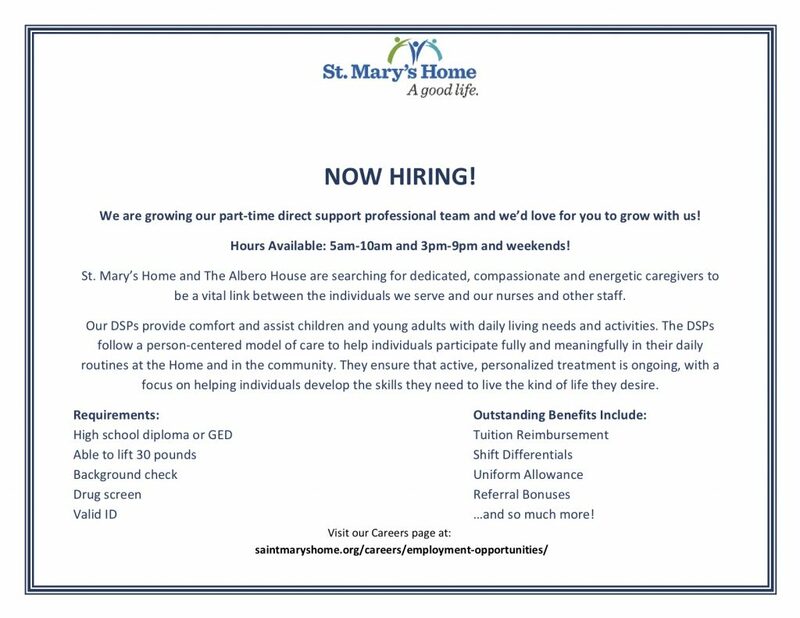 NOW HIRING! We are growing our part-time direct support professional team and we’d love for you to grow with us! Learn about employee benefits here. We have more than 300 full- and part-time employees who possess the patience and sensitivity to care for children and young adults with complex health needs. Staff members are trained thoroughly, and their skills are updated and refined through ongoing education. The nursing department is our largest, with more than 150 positions in three eight-hour shifts for registered nurses, licensed practical nurses and direct support professionals. The recreational therapy department is the second-largest department, with mostly part-time positions in the early evenings and weekends. Registered nurses, licensed practical nurses, direct support professionals — as well as physical, occupational and recreational therapists, who work under the direction of a board-certified pediatrician — deliver daily care. Two fulltime social workers, a registered dietitian, four support coordinators and three speech therapists complete the professional staff. We take an organized team approach to serving our children, and all team members recognize their important roles in maintaining the highest quality of care. If you require accommodation(s) under the Americans with Disabilities Act to complete an application, please call Human Resources at (757) 622-2208. We are an equal opportunity employer and a drug-free workplace.